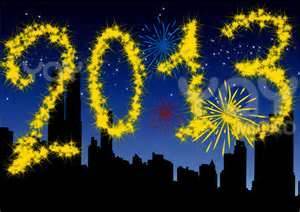 Whether we like it or not, 2013 is here. As the calendar turns, it seems a perfect time for reflection, both personally and professionally. 2012 was another year of broken resolutions, unfilled potential, and missed opportunities, that were interspersed with small gains, both personally and professionally. Yet, I remain optimistic, hopeful and eager to embrace the adventures of 2013. Somehow I want to make 2013 different, even if the challenges of 2012 remain with their respective prospects for solutions continue. These challenges will be the focus of my professional energy, efforts, and conversations in 2013 (as they were in 2012). So, here we go again? As an early adopter and advocate of Web 2.0 in talent acquisition, I must also acknowledge that certain Web 1.0 tactics and tools still work. This state where Web 1.0 and Web 2.0 both exists (and function well) is called confluence. While we are waiting for the convergence of Web 1.0 and Web 2.0 into what we will call Web 3.0, we must navigate this time of confluence. Sometimes, this period of confluence is too “complicated” for simple solutions. The adventures in talent acquisition that await us in 2013, while familiar will give us new versions to consider and fresh variations to explore and a renewed commitment to take on our overarching challenges. Perhaps that is where 2013 will be different; the same challenges, but taken on with a new perspective. By Marvin E. Smith in Talent Community Creation and Development on January 1, 2013 . Marvin, I’d love to hear how you see us integrating with an ATS. We can pass user credentials and profile data to an ATS very easily from within a community. Is there something more you would be looking for? Yes, passing credentials is important. What is even more important is have complete line of site into the ATS from prospects that are generated from each respective source or channel.